Visitors come from far and wide around this time of the year to pick cherries at local orchards. One event that has become a Christmas tradition is what could be called the Weekly Times Express, a busload of people from Sydney who come to Orange following a newspaper competition held each year especially for this. Last Saturday the happy winners were treated to a great day in Orange highlighted by picking new season cherries at the Prospect Orchard out along Cargo Road. OC Life’s Cec Tilburg was there to capture some of the happy faces and to hear from some of the visitors. Word has it, a great day and a great time was had by all. It’s worth mentioning that a friendship between former Councillor Chris Gryllis and John Booth, the publisher of the Weekly Times was the catalyst for this brilliant event happening each year. 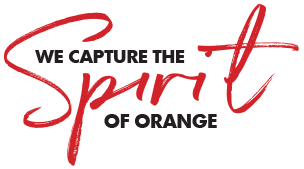 The publicity for Orange and the benefits to our local economy by events like this should not be under-estimated. Thanks Chris and John on a cherry good initiative. Dec 19 So young – so much talent! Jan 23 January 26th - A day for celebrating….and Carcoar is the place to do it!